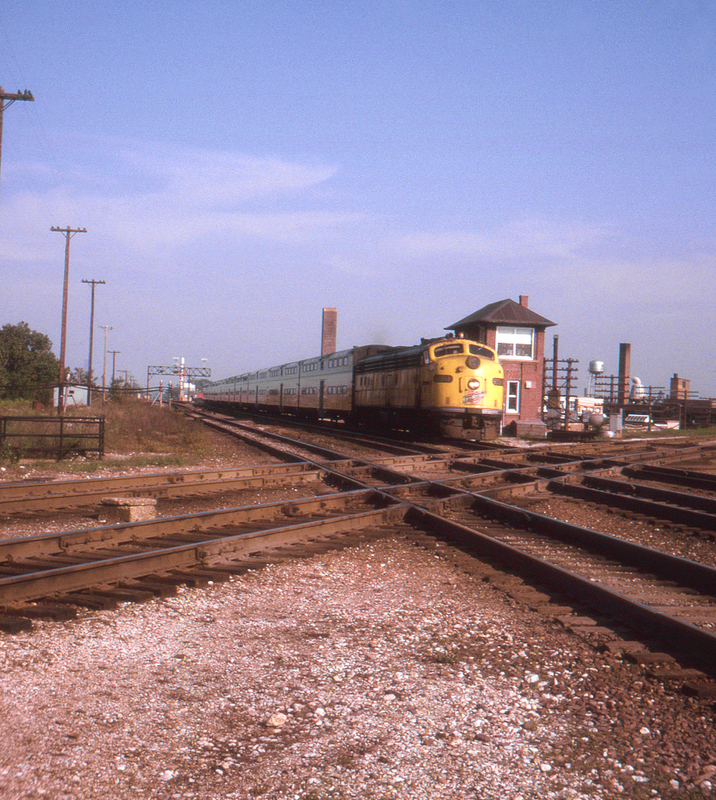 At Mayfair Crossing the Chicago & North Western's Northwest Line and the Milwaukee Road's mainline to Milwaukee cross. This commuter train is heading out of Chicago. With all of the commuter activity through here, this is still today probably a very busy spot.